I grew up with what can only be described as a pyromaniac brother. As a kid, the 4th of July meant long weekends at our family friends’ cabin on Lake Tapps, firework trips to the nearby Indian reservation, a front-row seat to the local show via their boat, and then our own private show on the dock. Such happy memories… To this day, my brother Eric puts on an elaborate 4th of July show at his house, so imagine my dismay when last 4th of July – my first in Mendocino – I didn’t hear or see a SINGLE FIREWORK. I had a few sparklers that we lit and overall the day was fun, but it wasn’t the same. This year I resolved to get my firework fix. 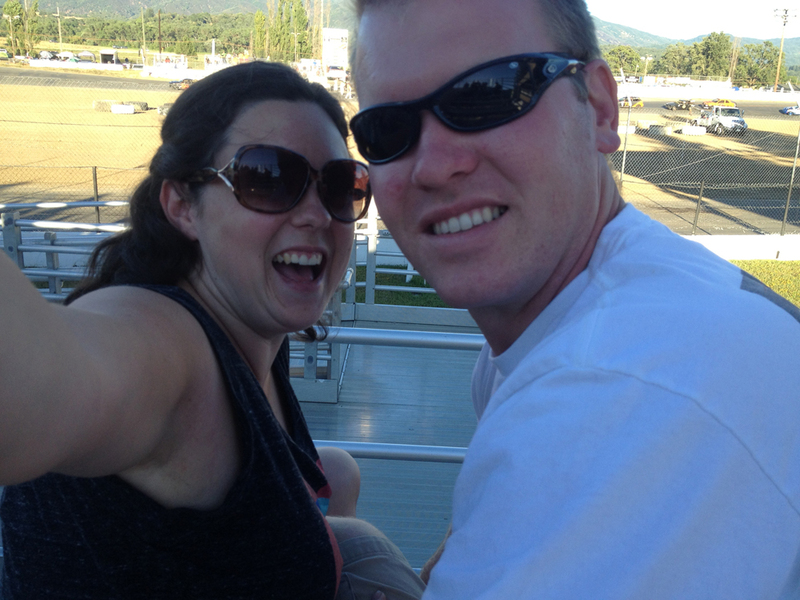 On the Saturday before the 4th, Carson and I headed to the Ukiah Speedway. For $14 each we were treated to six different races and a fantastic firework show, not to mention excellent people watching. I really can’t say enough good things about the people there – we may not run in the same circles but they were friendly as could be. The most exciting race was actually the very first one, which were “Jammer” class cars – they had the most crashes and the closest finish. However, the second race was a close second: it was the “Legends,” which can only be described as a live-action cartoon. These tiny, custom-made cars are fast and noisy, and when they crash they literally jump off the ground. 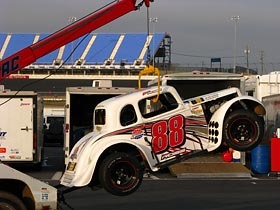 Even better, the tow truck lowers a grabber-like claw, picks them up from the roof, and drives off the course with them dangling behind them! I never imagined such a spectacle. As for the fireworks show… wow. So much better than I expected! It was set up in the middle of the track and was really low, so they exploded directly above our heads. It was pretty long with a good variety, and the best were these small golden cracklers that seemed to explode by the thousands over the course of two or three minutes. I kept smacking Carson’s arm (I think he was more entertained by my reaction than the show itself) and I couldn’t stop smiling. 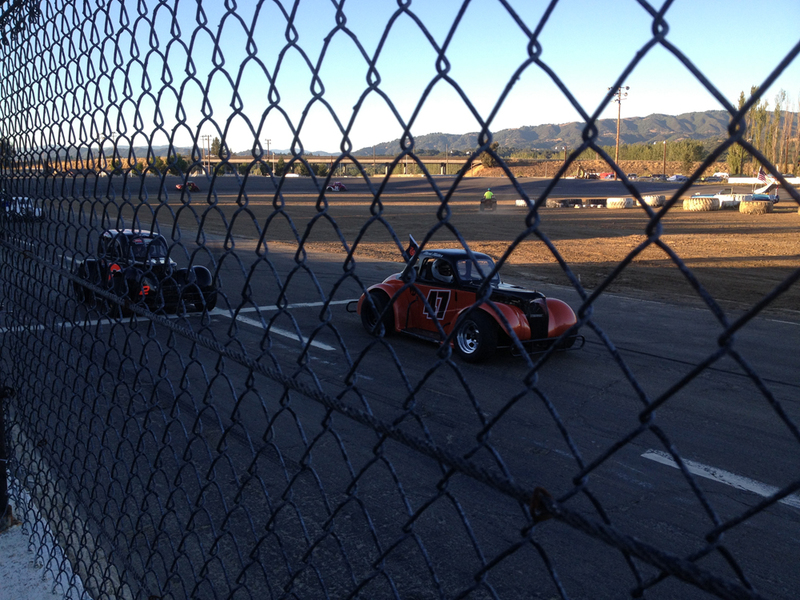 We very nearly went to the Lakeport races the following Saturday for an encore, but ultimately decided one show was enough. I know where I’m spending my next 4th of July, though!